The Rwandan government should immediately reveal the whereabouts of Robert Ndengeye Urayeneza, not seen since his enforced disappearance in Kigali, Rwanda’s capital, on 26 March 2010, Amnesty International said today. Amnesty International believes that Robert Ndengeye Urayeneza is detained in military custody in Rwanda. The organization is calling on the Rwandan authorities to promptly charge or release him. 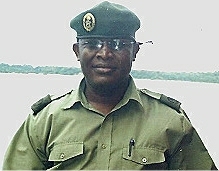 Robert Ndengeye Urayeneza, a dual citizen of Rwanda and the Democratic Republic of Congo (DRC), was living in Gisenyi and working as a businessman and on the Ecumenical Programme for Peace, Conflict Transformation and Reconciliation (PAREC) demobilisation programme in the DRC at the time of his enforced disappearance. He was the leader of an armed opposition group, the Front patriotique congolais, in eastern DRC in the late 1990’s. The group disbanded and later reformed before being integrated into the Armed Forces of the Democratic Republic of Congo (FARDC). Robert Ndengeye Urayeneza was last seen on 26 March 2010 around 6am when he dropped a family member at Nyabugogo Bus Station in Kigali. On that morning, he was driving a silver grey Toyota Vista registration number RAA 060Y. He never reached his brother’s home in Kigali, as planned. Family members tried to contact him by telephone later that morning. At first, he did not answer and by mid-morning, his phone was switched-off. Robert Ndengeye Urayeneza’s family reported him missing to the Rwandan National Security Service (NSS) on 27 March 2010, but have not received further news from the NSS about his whereabouts. On 7 May 2010, Robert Ndengeye Urayeneza made a phone call saying that he was detained at an unknown location in Rwanda. No-one has heard from him since. In October 2010, Amnesty International received credible information suggesting that Robert Ndengeye Urayeneza was detained in Rwandan military custody. The Rwandan Ministry of Defence did not respond to a letter from Amnesty International requesting information on Robert Ndengeye Urayeneza’s whereabouts in November 2010. In October 2010, two months after a written request for information, the Rwandan police confirmed that Robert Ndengeye Urayeneza was not in police custody. They suggested that Amnesty International instead direct enquiries to the Ministry of Defence. Immediately reveal the fate or whereabouts of Robert Ndengeye Urayeneza. Promptly charge Robert Ndengeye Urayeneza with a recognizable criminal offence and transfer him from military to civilian custody or release him. If charged, grant Robert Ndengeye Urayeneza with all the legal safeguards available under Rwandan law, including the right of regular access to a lawyer and a prompt and fair trial which meets international standards. Immediately release or else reveal the whereabouts and charge any other individuals subjected to incommunicado detention or enforced disappearance. Bring any individuals subjected to incommunicado detention promptly before a court to review the legality of their detention. Bring to justice all those responsible for ordering or carrying out enforced disappearances, regardless of rank, in proceedings which meet international fair trial standards. Enforced disappearances, abductions and incommunicado detention, rare in Rwanda in recent years, increased in 2010, as the Rwandan authorities investigated a spate of grenade attacks before the presidential elections. Amnesty International received information of three other persons who disappeared in March and May 2010 in Rwanda. All were former supporters of Laurent Nkunda, the former head of the armed opposition group, the National Council for the Defence of the People (CNDP), operating in North Kivu, eastern DRC. For example, Sheikh Iddy Abbasi, a former supporter of Nkunda, has not been seen since his disappearance outside his home in Gisenyi in March 2010. Lieutenant-Colonel Rugigana Ngabo, the brother of the former Rwandan army chief, Kayumba Nyamwasa, was held in incommunicado detention without access to a lawyer, family or independent medical care from August 2010 to January 2011. The Rwandan authorities are investigating allegations that Ngabo may have threatened state security. Following a habeas corpus request by Ngabo’s family addressed to the East African Court of Justice in November 2010, the Rwandan authorities are believed to have produced Ngabo in the past week before a military court in Kigali. Eyewitnesses say a grenade blast has killed at least two people in a suburb of Rwanda’s capital. The blast went off during Friday evening rush hour near a busy taxi park located about a mile (2 kilometers) from Kigali International Airport. The area is heavily patrolled by the army and police. Police quickly cordoned off the area as the wounded were brought to hospitals. Rwandan Police Spokesman Superintendent Theos Badege confirmed the incident and said that police were pursuing the assailants. Last year, Kigali was shaken by a series of grenade attacks including in the wake of the August presidential election. Acting Vice President of FDU-Inkingi. This Friday 28 January, the Executive Committee and only 30 party members managed to meet Ms. Victoire Ingabire, the Chair of FDU-INKINGI for about 10 minutes, on her 107th day in Kigali maximum prison. She praised the FDU Committee and party members for their courage and dedication. “I am strong, let everybody remember that together we shall overcome and that there is no place for exclusion. TWESE HAMWE TUZATSINDA is our motto”, she said. Bernard Ntaganda, who both expressed their interest in discussing ways to support the ongoing talks with Rwanda National Congress and other opposition organisations. Kigali – Lt Col Rugigana Ngabo appeared in military court yesterday Thursday 27 January. He was arrested in August last year “because of his engagement in activities” related to insecurity and terrorism. Lt Col Rugigana Ngabo is brother to General Kayumba Nyamwasa, who was recently sentenced to life by the same court for terrorist activities. The court has decided to extend his detention while the investigations go on. When President Paul Kagame of Rwanda won re-election in August, he could look back with pride on his accomplishments. Rwanda has emerged from the devastation of genocide and become more secure and prosperous than anyone had a right to expect. The central task of his second seven-year term, which by law must be his last, is to add broader democracy to this security and prosperity. Since his inauguration, however, Kagame has given no sign that he is eager to face this challenge. On the contrary, he has continued to scorn his critics. This month, a Rwandan court issued harsh sentences against four of his former comrades who denounced his rule and urged a change in course for their homeland. All four of those sentenced are safely outside Rwanda, but the severity of the sentences,which range from 20 to 24 years, was startling. The defendants were Kagame’s former chief of staff and ambassador to Washington, Theogene Rudasingwa; Gerald Gahima, Rwanda’s former prosecutor general and vice president of the supreme court; Col Patrick Karegeya, former director of Rwanda’s external security services; and Gen Kayumba Nyamwasa, a former army chief of staff who survived an assassination attempt in South Africa last year. The four were found guilty of forming a terrorist group, threatening state security, undermining public order, promoting ethnic divisions and insulting the president. Evidence was taken in part from a “Rwanda Briefing” they issued as their former boss began his second term, describing him as “a callous and reckless leader” shaped by “greed for absolute power”. They asserted that there is “more to Rwanda and Paul Kagame than new buildings, clean streets, and efficient government … Rwanda is essentially a hard-line, one-party, secretive police state with a façade of democracy.” To avoid future conflict, they urged Kagame to convene a “genuine, inclusive, unconditional and comprehensive national dialogue” with the aim of creating a new “national partnership government”. Adding to the fear of new instability were this week’s reports that regional leaders meeting in Kigali, the Rwandan capital, concluded that a new armed force is emerging on the turbulent eastern Congo, which borders on Rwanda and which has, in the past, been a staging ground for anti-Kagame forces. There was ominous speculation that the force might be collaborating with one or more of the newly-sentenced signers of “Rwanda Briefing”. Kagame’s repression of opposition during his first term may have been unwise, but it was at least defensible. Some of his most outspoken critics were allies of the defeated genocide army, which still dreams of returning to power. The four men convicted this month, however, became prominent because Kagame himself elevated them to high office. He trusted them once – and should listen to them now. No authoritarian leader cedes power easily, or turns it over to bodies he cannot control. This is especially true of leaders who come to power by guerrilla war, as Kagame did. Guerrilla leaders win wars by being paranoid and ruthless. Once they take power, they are expected to abandon those qualities and embrace opposite ones: tolerance, compromise and humility. Almost none manages to do so. Kagame has proven himself to be a visionary figure in some ways, so there seemed hope that he would be an exception. Events of recent weeks suggest otherwise. Kagame and his allies argue that opening too much political space in Rwanda now would unleash ethnic hatreds and possibly lead to another genocide. His critics, including the four who were sentenced this month, argue the opposite: that opening political space is the best way to prevent another genocide. Both arguments are plausible, and both should be openly discussed. Instead of having a court sentence his four ex-comrades to prison terms, Kagame should invite them and others to join him in planning a sustainable path toward Rwandan democracy. By rejecting their counsel, he is increasing his pool of enemies and perhaps even contributing to the destabilisation of the country he has done so much to settle on a better course. It may or may not be true, as the four men convicted this month have asserted, that Rwanda is “again on the brink of an abyss”. The stakes, however, are enormous. President Kagame should accept the possibility that his judgment may not always be correct, and listen earnestly to Rwandans with different ideas. He still has the chance to enter history as one of the greatest modern African leaders. There is also the chance, however, that he will be remembered as another failed African big-man, a tragic figure who built the foundations of a spectacular future for his country, but saw his achievements collapse because he could not take his country from one-man rule toward democracy. In Kagame’s early years in power, he made enemies of many he might have turned into allies, including former president Pasteur Bizimungu, former prime minister Faustin Twagiramungu, former speaker of parliament Joseph Sebarenzi, and Paul Rusesabagina, the hotel manager whose story was the basis for the film Hotel Rwanda. He could plausibly argue that in those days he felt under siege, with the former genocide army waging war against him and the country still in upheaval. Today, the country is secure, and Kagame has attracted foreign supporters ranging from Bill Clinton and Tony Blair to Rev Rick Warren and high-powered American business tycoons. Yet, his contempt for critics seems as intense as ever. Around the same time his four ex-comrades were given long, if symbolic, prison terms, prosecutors asked a Kigali court to impose sentences of 12 and 33 years on two opposition journalists charged with genocide denial, inciting public disorder, insulting the president and spreading false rumours. “The challenge that Rwanda and her partners have is to engineer peaceful transition to inclusive, democratic governance in time to avoid renewed widespread violence and sectarian bloodshed,” Kagame’s four former aides wrote in their “Rwanda Briefing”. He should heed their warning and seek their counsel. CONCLUSION OF CONSULTATIONS BETWEEN FDU – INKINGI AND RWANDA NATIONAL CONGRESS. Following a meeting that was held in Brussels (Belgium) on 19 December 2010 , representatives of the Support Committee of FDU-Inkingi, upon authorisation by the said party, held a retreat with representatives of the Rwanda National Congress (RNC) in Switzerland from the 21 to 25 January 2011. The purpose of the retreat was to hold consultations on the nature of the critical problems that confront the Rwanda nation today and exchanging ideas as to how the two organisations can harness their collective resources to find appropriate solution to these problems. Charles Ndereyehe, Member, Support Comittee, FDU-INKINGI responsible for Strategies. Sixbert Musangamfura, Member, Support Comittee, FDU-INKINGI responsible for External Relations. Gerald Gahima, Member of RNC delegation. 1. Our vision of the Rwanda that the people of Rwanda deserve is a democratic state, that is governed in accordance with the principles of the rule of law, independence of the judiciary, respect of the inherent dignity of every citizen, equality and non-discrimination and promotion of reconciliation, solidarity and mutual respect amongst all Rwandans. The successive governments that have ruled Rwanda since the 1959 Revolution have proclaimed ,in their official documents and statements their commitment to the above principles and values, but the changes they brought about only resulted in change of the outward form, rather than the nature or character, of government. 2. The current system of Rwanda’s government is characterised by dictatorship, discrimination and marginalisation, deception and deplorable conduct such as destruction of citizens property, illegal expropriation of private property, arbitrary arrests and detentions, depriving children of poor citizens of access to university education and forceful implementation of ill-conceived educational reforms without any public consultation. 3. There is no doubt that unless the system of Rwanda changes, it will yet again lead the Rwanda nation to catastrophic tragedy. 3. To establish a system of independent and impartial administration of justice, eradicating impunity once and for all. An independent and impartial system of administration of justice is an indispensable system of administration of justice. 4. To prepare a national dialogue bringing together Rwandans of all backgrounds and political persuasions to discuss a peaceful future of Rwanda. 5. To build a Rwanda in which discrimination and marginalisation of any kind have no place, assuring every citizen access to equal opportunity. 6. To promote gender equality. 7. To definitively resolve the chronic problem of Rwandan refugees. 8. To promote genuine reconciliation amongst Rwandan of all backgrounds and to repair the psychological wounds that the conflict Rwanda has experienced have left. 10. To assure the security of all citizens by ensuring that security sector institutions work for the benefit of citizens instead of serving the personal interests of individual or group of individuals. 11. To stop, once and for all, the habit of continually waging war and aggression against neighboring states and to build sustainable security and peace. 1. The two organisations support political change in Rwanda by peaceful means. 2. The two organisations resolved to establish a common coordination mechanism to facilitate their collaboration in mobilising the people of Rwanda for democratic change. 3. The organisations agreed to sensitise other organisations that are struggling for peaceful democratic change to join them in working together to promote that objective. 4. The FDU-Inkingi and the RNC have decided to implement above strategies to achieve the objective of peaceful democratic change. The participants in the meeting reiterated their appreciation of the courage and sacrifice of Madame Victoire Ingabire in the struggle for democracy in Rwanda, and again demand that President Kagame release her from detention without pre-conditions. The participants equally demand that all other political prisoners, including Bernard Ntaganda, President of PS-Imberakuri; Déo Mushayidi (President, PDP Imanzi); Dr. Théoneste Niyitegeka and Charles Ntakirutinka. All the above political prisoners must have unrestricted freedom to continue their political activities in their motherland. The participants in the meeting deplore the manner in which the government continues to use judicial institutions to eliminate political dissent, criticism, and opposition, The participants, in particular, condemned the parody of justice conducted by the Rwanda Military High Court that led to its judgement of 14 January 2011 against General Kayumba Nyamwasa, Dr. Théogène Rudasingwa, Colonel Karegeya Patrick and Dr. Gerald Gahima, whose objective is to persecute and defame the said individuals on account of their political views. The participants in the meeting demanded that the Government of Rwanda cease the persecution of journalists and clergy, including Fr. Emile Nsengiyumva. The meeting also condemned the Rwanda Government’s continued use of members of FDRL to fabricate and peddle allegations against opponents of the regime. It is most surprising to observe how these armed insurgents that are collaborating with the authorities are given free reign to defame and spread lies against persons who have no connection with the FDRL organisation. The meeting agreed that all possible precautions ought to be taken to prevent the recurrence of genocide, crimes against humanity and any other policies that deprive Rwandan citizens of their lives or otherwise violate fundamental human rights. Concerning the United Nations report on the Mapping Exercise on atrocities that were committed against Rwandan refugees in the Democratic Republic of Congo, the meetings calls for an end to activities intended to minimise the significance of the report. The participants in the meetings encourage all Rwandans to rise, to overcome fear and to understand that the struggle to liberate their motherland is their responsibility. We request foreign governments and international organizations to more strongly support democratic change in Rwanda. Done at Montreux, Switzerland on 25 January 2011. Support Comittee, FDU-INKINGI Interim Coordination Comittee, RNC. Kigali — Regional security chiefs, representing the Economic Community of Great Lakes Countries (CEPGL), have disclosed that Rwandan fugitives, Kayumba Nyamwasa and Patrick Karegeya, have formed a new armed group based in the Democratic Republic of the Congo (DRC), with the aim of destabilizing the region. According to minutes of the just concluded CEPGL security meeting, the Kayumba-Karegeya armed group, based in Binza, North Kivu, is commanded by Col. Suki and Col. Gaheza. They are, so far, estimated to number about 200. “The group is carrying out recruitment inside Rwanda and the region and infiltrating the recruits to DRC for future use in subversive activities against Rwanda,” said Col. Augustin Mumbiay Mamba, the DRC’s chief of border security. It was also revealed in the meeting that the Kayumba-Karegyeya outfit had entered into an alliance with several existing militia in eastern DRC, including the Democratic Forces for the Liberation of Rwanda (FDLR), remnants of the former Rwandan army (Ex-FAR) and Interahamwe militia responsible for the 1994 Genocide against the Tutsi. Other armed groups named in the new alliance include FPLC, RUD-Urunana, Lafontaine, Mai Mai Yakatumba, Mai Mai Cheka and the so-called Nsengiyumva group. “Estimated enemy strength operating in DRC is about 5,000,” revealed Col. Mamba. “This alliance dictates the need to intensify joint operations to curtail and neutralize the activities of these armed groups”. It is not the first time that Kayumba and Karegeya are linked to armed groups in the DRC. A UN Security Council Group of Experts’ report, last year, revealed that both Kayumba and Karegyeya have strong links with the FDLR and were involved with armed groups in the DRC. Col. Amri Bizimana, a top commander in the Democratic Forces for the Liberation of Rwanda (FDLR) terrorist organization, corroborated the UN Security Council report. “For almost a year now, Kayumba and Karegeya have had sustained contact and high level meetings with senior FDLR leaders and this has led to the merging of resources and efforts between the two sides,” Col. Bizimana told reporters recently at Mutobo reception centre, where he arrived after escaping from the FDLR camps in the Eastern DRC. Bizimana further revealed that after the merger of the Kayumba-Karegeya group with the FDLR outfit, Gerald Gahima has emerged as the most active coordinator in Europe and North America, where he, and Theogene Rudasingwa, have linked up with Paul Rusesabagina and the remaining top FDLR officials after the arrest of Ignace Murwanashyaka, Straton Musoni and Callixte Mbarushimana. Kayumba and Karegeya were sentenced to 24 and 20 years in prison, respectively, after they were found guilty of forming a terrorist group, threatening state security, undermining public order, promoting ethnic divisions and insulting the person of the President of the Republic. CEPGL’s Sub Committee on Defense and Security comprises the Chiefs of Defense Forces, the Chiefs of Police, Chiefs of National Security, the Heads of Immigration services, the Heads of Military and Police intelligence from all CPGL Member States. On January 22, 2011, KPFA News spoke to Professor Peter Erlinder, international criminal defense attorney and law professor at William Mitchell College of Law, about U.S. responsibility for the Rwanda Genocide and Congo Wars. Peter Erlinder, speaking to the National Lawyers’ Guild last spring, with a duplicate of the pink prison garb he wore while imprisoned by Rwandan President Paul Kagame’s regime. Erlinder had traveled to Kigali, Rwanda’s capitol, to defend Victoire Ingabire Umuhoza. Ingabire, who attempted to run for president against Paul Kagame, is now in prison herself. American Law Professor Peter Erlinder is about to begin a speaking tour to present his 70-page compilation of original UN documents and evidence, and his analysis what actually happened in Rwanda between 1993 and 1995. Erlinder says that the U.S., its allies, and the Rwandan government are collaborators in an ongoing coverup of the truth at the International Criminal Tribunal for Rwanda in Arusha, Tanzania, and that the U.S. was responsible for the Rwanda Genocide and the ensuing Congo Wars. The World Association of Newspapers and News Publishers (WAN-IFRA) and the World Editors Forum have written to Rwandan President Paul Kagame to express serious concern over the lengthy prison sentences requested by state prosecutors in a High Court hearing against two journalists. Prosecutors at the Kigali court requested 33 years imprisonment for Agnès Uwimana Nkusi, the editor of the privately-owned bimonthly Umurabyo, and 12 years for reporter Saidath Mukakibibi. Fines have also been levied against the pair, with a final verdict due on 4 February. The journalists, who have already spent six months in pre-trial detention, are being tried on a range of charges including genocide denial, inciting public disorder, insulting the president and spreading false rumours. Their arrest in July for publishing opinion pieces falls within a pattern of newspaper closures and the jailing and murder of journalists ahead of last year’s presidential elections. “While not condoning any shortcomings in the journalists’ professionalism in preparing the articles – failings which Ms Uwimana Nkusi has admitted – we are concerned that the government is using the ‘genocide ideology’ law to suppress the free expression of opinions,” WAN-IFRA and WEF said in the letter. International media and human rights watchdogs have repeatedly criticised the use of “genocide ideology” law to suppress the free expression of opinions. Charges such as defamation or insulting the president are often inflated to “genocide denial” or “inciting public disorder” that carry lengthy prison terms. “We are writing on behalf of the World Association of Newspapers and News Publishers (WAN-IFRA) and the World Editors Forum, which represent 18,000 publications, 15,000 online sites and over 3,000 companies in more than 120 countries, to express our serious concern at the extremely harsh jail sentences requested by a Kigali prosecutor against two journalists. “According to reports, the prosecution requested 33 years in prison and a fine of 800,000 Rwandan francs (about 1,000 euros) for Agnès Uwimana Nkusi, editor of the privately-owned bimonthly Umurabyo, and 12 years in prison and fine of 200,000 Rwandan francs (about 250 euros) for reporter Saidath Mukakibibi. “The journalists, who have already spent six months in pre-trial detention, are being tried on a range of charges including genocide denial, inciting public disorder, insulting the president and spreading false rumours. A verdict is expected on 4 February. “When requesting the sentences, prosecutor Augustin Nkusi said: “Their articles, for example in their issue 29, clearly show the intent and motive of the two, which was to incite the people against an elected government.” While not condoning any shortcomings in the journalists’ professionalism in preparing the articles – failings which Ms Uwimana Nkusi has admitted – we are concerned that the government is using the “genocide ideology” law to suppress the free expression of opinions. Charges such as defamation or insulting the president are often inflated to “genocide denial” or “inciting public disorder” and their arrest in July for publishing opinion pieces falls within a pattern of newspaper closures and the jailing and murder of journalists ahead of last year’s presidential elections. “Ms Nkusi served a two-year prison sentence from 2007 on similar charges and she received two warnings for her reporting by the Media High Council last year. “We respectfully bring to your attention the Declaration of Table Mountain, endorsed at the 60th World Newspaper Congress and 14th Editors Forum in Cape Town in June 2007. The Declaration calls on African states to promote the highest standards of press freedom, uphold the principles proclaimed in Article 19 of the Universal Declaration of Human Rights and other protocols, and provide constitutional guarantees of freedom of the press. 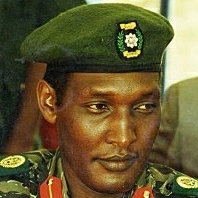 The four men – Kayumba Nyamwasa, Karegeya, Gahima and Rudasingwa – were once members of the Rwandan president’s inner circle. Now they’ve fled the country and say they fear for their lives even in exile as he steps up efforts to silence their criticism. A Rwandan court convicted them in absentia and sentenced them to at least 20 years in prison each if they return home. One also has survived what he believes is an assassination attempt near his home in South Africa, though Rwanda denies any involvement. President Paul Kagame’s former attorney general, intelligence chief, army chief and chief of staff all were convicted earlier this month by a Rwandan military court of disturbing public order, threatening state security, sectarianism and criminal conspiracy. The men once loyal to Kagame now accuse him of threatening both democracy in their homeland and stability across Africa. Kagame is renowned for his role in helping to end the 1994 genocide during which extremist Hutus killed more than 500,000 Tutsis and moderate Hutus. But his democratic credentials have been questioned, as has his ability to heal his nation’s ethnic divide. This week Rwandan police said they had asked Interpol member states to arrest the four dissidents and send them home to serve prison sentences. Interpol said Thursday that Rwanda had issued the request on its own, not through the international agency’s secretariat. Former army chief Kayumba Nyamwasa and ex-chief of staff Theogene Rudasingwa were sentenced to 24 years each. Former attorney general Gerald Gahima and intelligence chief Patrick Karegeya were handed 20-year sentences. “Everybody knows it’s a hoax,” Karegeya said, accusing Rwanda’s president of orchestrating the trial. Two of the men are in exile in the United States; the other two are in South Africa. Clayson Monyela, spokesman for South Africa’s foreign affairs department, said Thursday his government would have no comment on whether the country would comply with Rwanda’s extradition request. Relations between the two countries already have been tense as South Africa investigates a shooting that wounded one of the four ex-aides last year in Johannesburg. At one point, South Africa went so far as to recall its ambassador to Rwanda and it remains unclear whether the diplomat has returned. South African prosecutors have refused to say whether they believe the Rwandan government was involved in the June attempt on Nyamwasa’s life. Rwandan officials vehemently deny any role, while his supporters hold Kagame’s government responsible. The dissidents say they expect South Africa and the U.S. to continue granting them a haven. Their real fear, they say, is not extradition, but an attack by Kagame’s agents. “It’s a very real risk,” Gahima said. Authorities in South Africa say the plot against Nyamwasa involved 10 suspects from several African countries. Authorities believe it was masterminded by the one Rwandan citizen among the suspects. And after the shooting failed to kill Nyamwasa, authorities allege the suspects then plotted to strangle Nyamwasa in his hospital bed. The trial is set to begin in July. Nyamwasa has kept a low profile since being wounded in the attack. Several months later, Spain announced it was seeking his extradition on genocide charges that he denies. Nyamwasa and other senior Tutsis are accused of waging an extermination campaign against Hutus in retaliation for the 1994 genocide, killing tens of thousands. Under Spain’s broad human rights laws, a Spanish judge has charged Nyamwasa and 39 other members of the Rwandan military with the mass killings of civilians after they seized power in Rwanda following the genocide. The dissidents deny their opposition to Kagame springs from personal ambition. And Kagame’s former chief of staff said it was fair to ask why Rwandans should now trust former Kagame allies. Rudasingwa was Kagame’s envoy to the United States in the mid-1990s, where he denounced criticism of Rwanda by international human rights groups. He said he began to become disillusioned with Kagame in the late 1990s, but feared arrest or worse. He went on to become Kagame’s chief of staff. Rudasingwa left Rwanda in 2004, returned briefly, then left for good in 2005. Five years later, the four ex-Kagame aides in exile established the Rwanda National Congress, which they say is dedicated to pursuing peaceful political change. They accuse Kagame’s government of refusing to embrace democracy and respect human rights, and say that could lead to more violence. Past Rwandan conflicts have spread throughout the Great Lakes region and sent refugees fleeing across Africa. Gahima, Rwanda’s former attorney general, said the criminal convictions and attempts to extradite them had only strengthened the exiles’ resolve to bring about change in their homeland.